Can a mountain be imprisoned? Unfortunately. 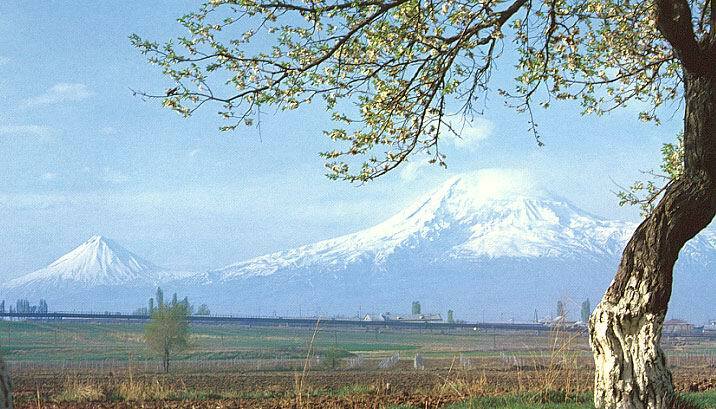 Since 1920 the mountain belong to Turkey, but only purely geographically. 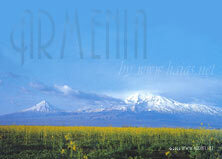 Holy mountain Ararat was, is and always remains as national symbol of all Armenians. 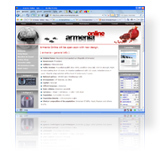 Refrained from the northwest, where an almost 2,130 meter of high foothill of the mountain changes into a mountain course, it is located completely freely in the Armenian plateau. 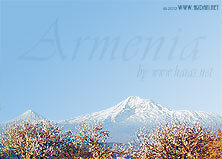 It towers above it surrounding plateau, which achieves a height between 760 and 1,370 meters over the sea level. 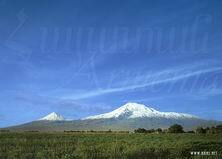 On a height of approximately 2,680 meters two summits rise: the Big Ararat (5,137 meters) and the Small Ararat (3,914 meters), which are connected for high saddle by a 2,600 meter. 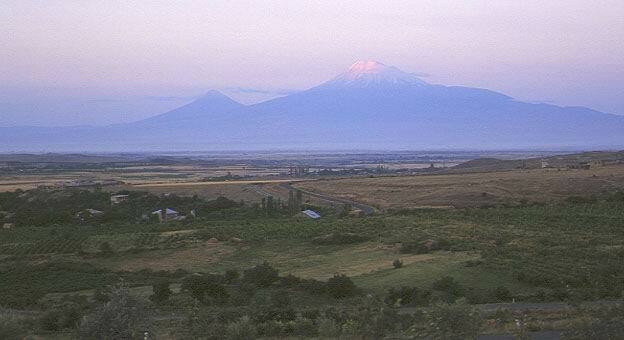 The Ararat is a gone out volcano, which consists particularly of Trachyt. It is in the higher positions strongly, the snow boundary is on approximately 4,300 meters height. 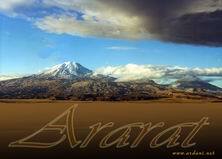 After the old person will landed the ark Noah after the flood on the mountain Ararat. 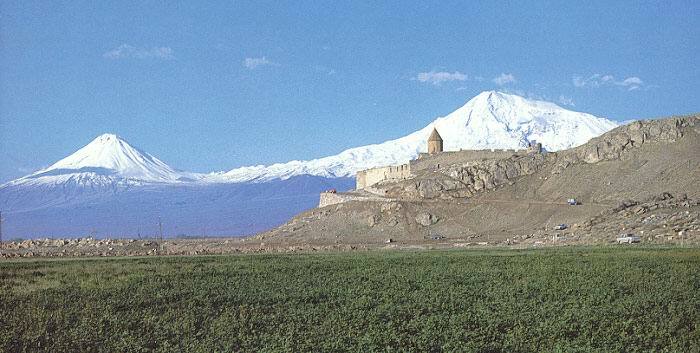 The large Ararat was mounted for the first time in modern time 1829. On 2 July 1840 far sections of the region were shaken by an earthquake, in whose consequence an avalanche buried a village as well as a monastery which was because of the lower slopes of the mountain under itself.